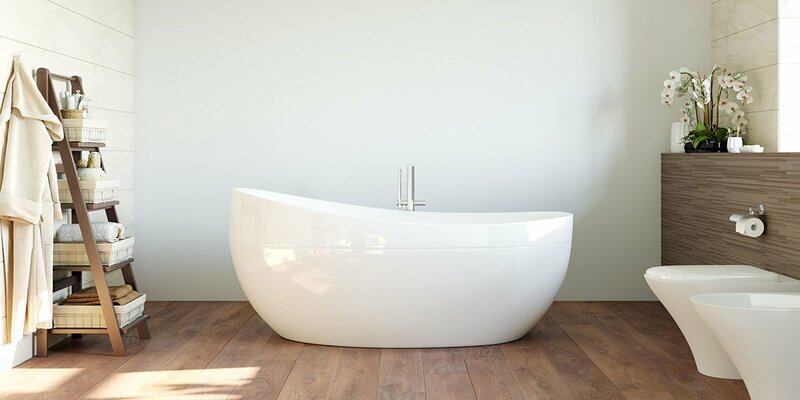 Whether its lighting or plumbing fixtures, cabinetry or new tiles, you can give the bathroom a whole new look with a budget bathroom makeover. A fresh coat of paint or using drywall to provide texture are two great ways to update the walls. If you want to go one step further with your budget bathroom makeover, and keep up with ‘techy trends’ hire a registered electrician to update your electrical system. Then you can include in-bathroom TV’s, stereo systems, ipads and towel warmers. 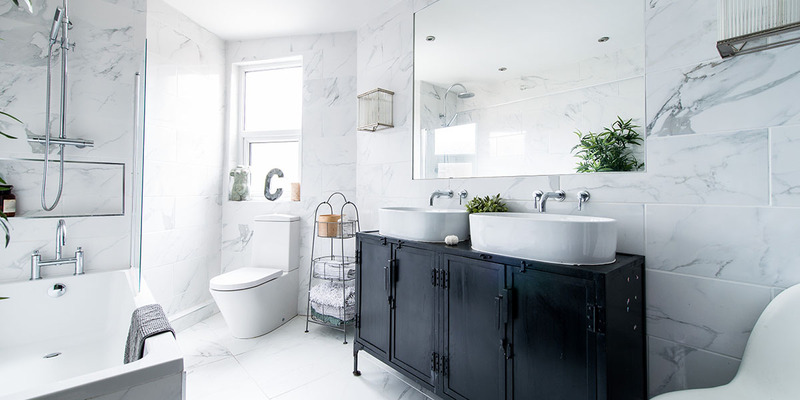 When thinking about how you can get the most out of your budget bathroom makeover in terms of money and space, focus on how the bathroom is used and choose changes that will have the largest impact as well as being a positive improvement to your daily routine. Pick just one or two changes and focus your creativity and budget on these. You can always make further changes in the coming months. 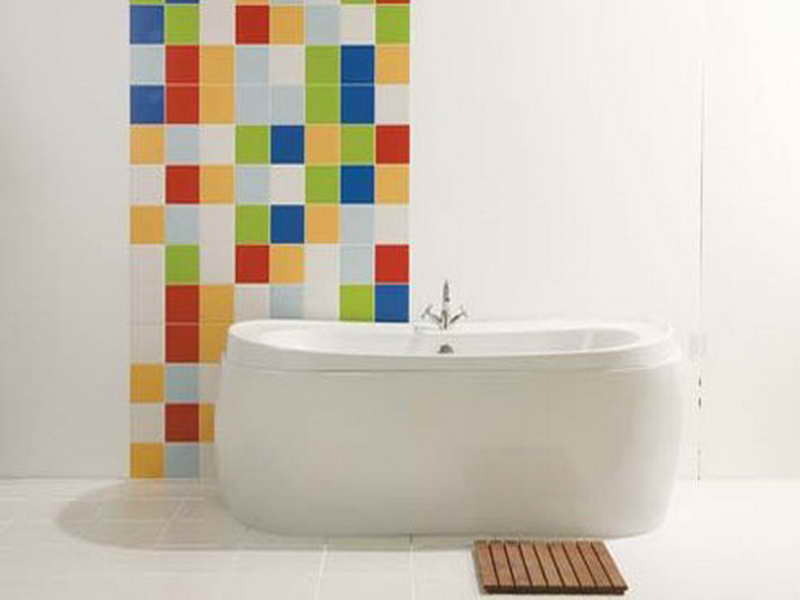 It’s easy to brighten up a neutral coloured bathroom with tiles. 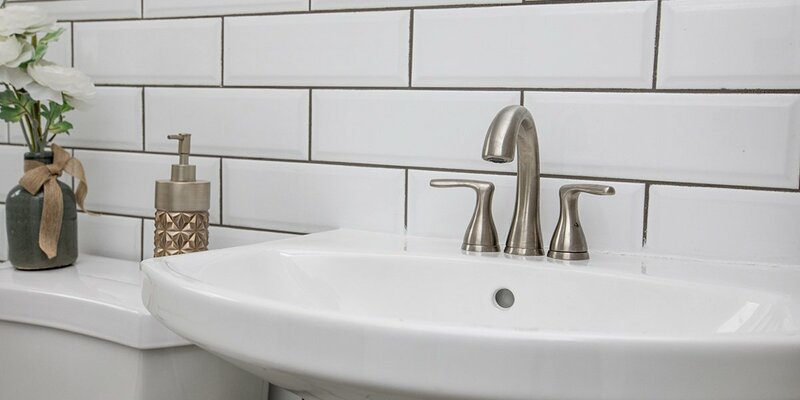 If tiling your bathroom in its entirety isn’t a practical or affordable option at the moment, then mix and match tile colours above the sink or bathtub and create your own wall mosaic. 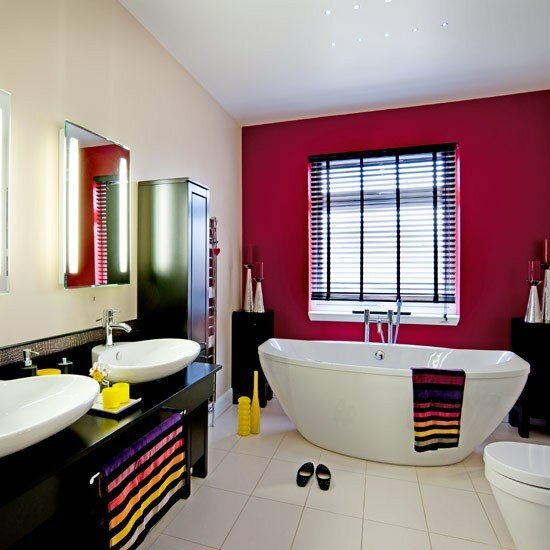 Using coloured grout is another groovy way to customise your bathroom on a budget. Refacing, painting or restaining bathroom cabinets is a great way to give life to old cabinets. Even better, if your budget bathroom makeover can afford it, completely replace the cabinets. Bathroom cabinets need to be both functional and integral in setting the tone of the room. Select cabinets that provide plenty of practical storage as well as adding shelves where practical. 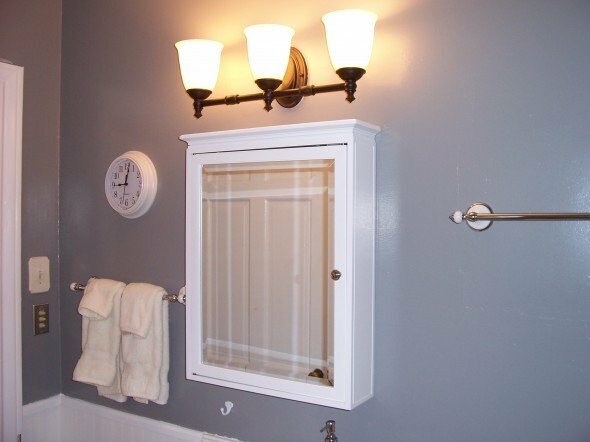 Exchange your old light fixtures for ones that let you have the option of softer light when you’re wanting to relax in the evenings in the bath. They also provide brighter light for when you’re getting ready for a busy day at work or home in the morning. Lighting can affect the mood of a room. So pay particular attention to the positioning of lights and the wattage of bulbs. Nothing makes a bathroom look old and dingy quicker than a 1970’s chrome faucet. Modern bathroom faucets are the inspiration for the look of your entire bathroom. No longer is the plumbing fixture a purely practical proposition. Whether it’s an elegant waterfall or a more traditional bathroom tap, chrome or brass, there’s more options than ever available to choose from. The cheapest way to update any room, not just in a budget bathroom makeover is to hire a decorator and change the walls. Bathroom walls are usually pretty small. So it’s a great place to try a bright shade or bold colour that might be a bit too overwhelming somewhere else in your house. Once you’ve chosen a colour for your feature wall, complement this with towels, containers, mats or window fittings. Mix it up and experiment for a look that reflects your personality. People are spending much more time in their bathrooms these days. 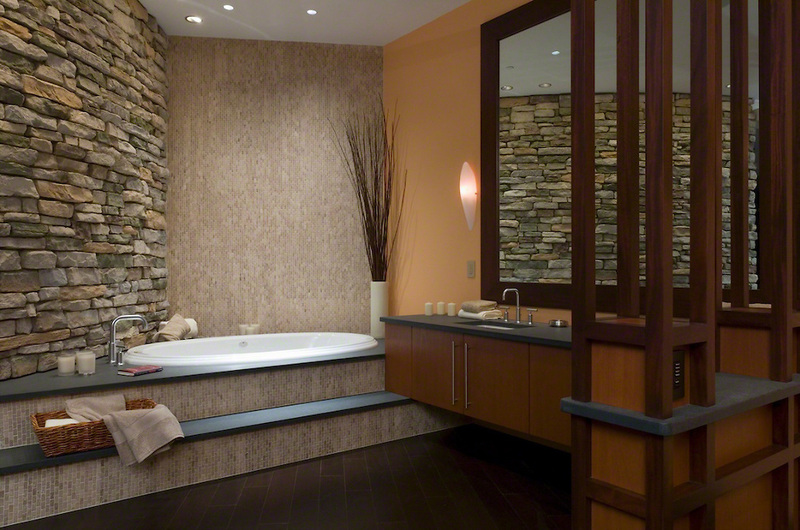 In fact many homeowners are creating a slice of paradise in their master bathrooms. Upgrade your electrical system as part of your budget bathroom makeover and you can allow for both entertainment (iPods, tvs and stereos) and relaxation (foot tubs, facial saunas) and the more practical shavers and hair dryers.